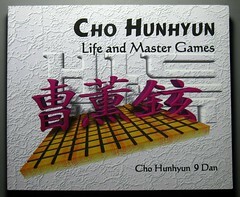 A collection of 20 commented games by famous Korean player Cho Hun-hyeon. Included are personal notes on his experiences and his views of the famous professionals he plays as he discusses these games that occurred over a span of almost thirty years. An appendix contains a history of Go in Korea. Ishi Press was resurrected from the dead temporarily to publish this book, in conjunction with Nemesis Enterprises.